DrapeStyle is pleased to introduce our new line of Custom Window Treatments and Drapery in Kravet Fabrics. This gorgeous line of fabrics features exclusive design collaborations by Windsor Smith, Thom Felicia, Lee Jofa and Candice Olson. Of course each set of drapery will be handmade to order in our California Studio. 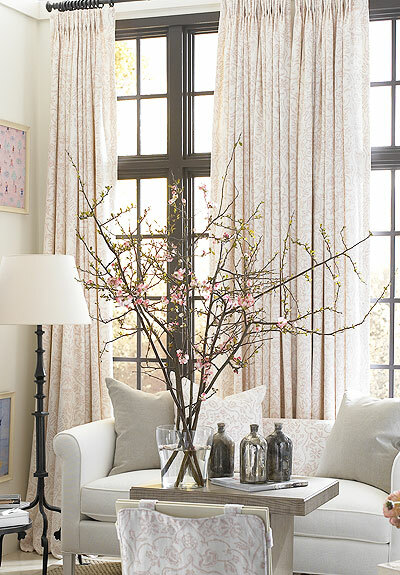 See the full line of Kravet Fabrics in our Couture Section. At DrapeStyle we have been selling Woven Wood Shades for over a decade and we are happy to be expanding our Online Shade Store product line. Starting in June of 2012 we will be adding over 25 new Woven Shade and Custom Wood Shades. All of our Designer Shades are made of renewable natural woods, grasses and bamboo and are fabricated right here in the USA. Look for pricing of up to Half Off what you would expect to pay elsewhere and most items will ship in 10 days or less! DrapeStyle has recently released our new Hyland Cotton Collection of Custom Drapery. Made from 100% Cotton Twill these fabrics feature contemporary “gate” patterns five colorways. And, because they are DrapeStyle Fabrics you can expect to pay about half price for drapes in our fabrics when compared to shade stores, designers and traditional window treatment and curtain retailers. 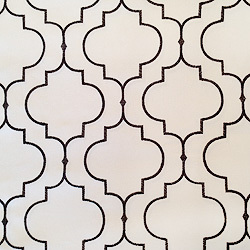 The Hyland Collection Custom Drapery and Curtains are a limited release so when they are gone, they are gone!